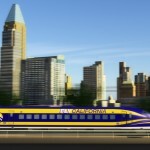 Last year, Sacramento Superior Court Judge Michael Kinney ruled that the state needed to identify all of the funds required to complete the San Francisco-to-Los Angeles bullet train before breaking ground on construction. The ruling temporarily crippled the project because the state has so far only secured a fraction of the project funding. On Thursday, a three-member appellate panel voted unanimously to reverse Kinney’s ruling. The appellate court ruled that the state’s preliminary funding plan for the project satisfied legal requirements. The ruling will allow California rail officials to sell $8.6 billion in voter-approved bonds needed to construct the bullet train. The case could still make its way to the state Supreme Court, though. An attorney representing a group of Kings County farmers who filed the lawsuit against the state said his clients are still deciding whether to appeal Thursday’s ruling. This is the problem with socialist systems of government: They will push insane boondoggles like this crazy bullet train project. The money will come at the expense of our businesses (taxes), schools, environment, etc. It’s just crazy (even under California standards). The BIG PROBLEM is that, “We the People”, voted for this insanity. No that should be………..Some of the People…………I didn’t vote for and I doubt you voted for. It is usually the same crowd that approves bond’s not thinking about where the source of funding comes from. True, but it doesn’t matter how we voted since we were in the minority. Yes that is true but again when these people that voted for later start complaining about costs, I can honestly tell them, don’t look at me I didn’t vote for the stupid bond. Little solace but still. OK….how many of you think this a good idea? This should become a referendum in order to determine the real validity of such an expensive project. Unfortunately, California voters have already spoken on this issue. In 2008, almost 53% voted to authorize a bond measure to get it going. I suppose we could have another ballot initiative in hopes that enough voters have reconsidered that folly to put an end to the project. However, I am not sure that enough voters would be willing to do that given that the project is already underway in places. I really don’t have a big problem with the general concept of at bullet train as its benefits could outweigh its drawbacks in the right situation. Unfortunately, both geography and legal bureaucracy make California a poor place to do it. If the money must be spent (and that should not be the case), I can think of many ways it could bring better benefits for the bucks spent. Slight typo in the last sentence. It should read “…an attorney representing a group of King’s County agribusiness millionaires …”. The $68 billion dollar budget will grow as quickly as the bureaucracy (that we’re told will be necessary) to support this white elephant. San Francisco to LA? This must be a different bullet train than the LA to Vegas train. If we don’t have the funding for this route then where do we get the money for the other route? Clever play on words — but Gov. Brown’s role in the approval of the project was minimal so the credit should really go to the legislature and, especially, to the California voters who approved the bond measure for it. Unfortunately, I can’t quickly come up with an appropriate and equally clever title reflecting that. This lawsuit is another example why everything costs so much in California. If you don’t like anything, just sue. You don’t like a bullet train near your property, sueI You don’t want development in you neighborhood, sue! There’s a typo in an EIR, sue! Someone parked in front of your home, sue! That idea works much better on the private side for jobs vs Gov. side. Look how poorly mismanaged and over budget Gov. jobs are since 1949. Nice! More waste in the unGolden State. We are circling the drain faster than ever. this is a global thing much like abolition most nations are willing go along with the plan and do their part , however America may need to have a stupid war about it. Yeah, right, it’s exactly like abolition. WT….????? WT….??? America is the only empire that had to have a war to end slavery, how stupid was that? the world is developing a global rail system, we could totally dominate the construction consortium that will build out the network,not building this rail system would be like taking the solar panels off the white house and letting germany lead the world in solar.or Like the Panama canal was going to ruin the economy not a big sacrifice for the payoff eventually a person could take the train from SLO to London.